The US is traditionally a large purchaser of China’s exported products. Indeed, the US typically accounts for about 20% of China’s exports. In late September, the US imposed another 10% tariffs on some $200 billion worth of Chinese goods. One would have expected this to dampen China’s exports to the US. Instead, China’s exports to the US increased 13% in October. The tariff hikes which were originally scheduled to jump from 10% to 25% in January, were recently postponed. 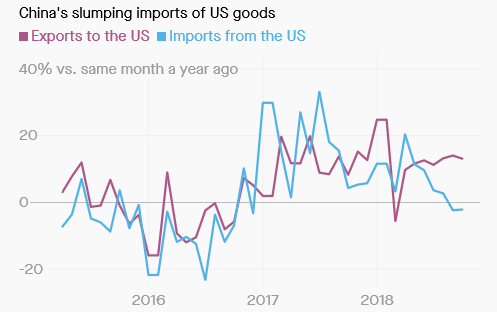 US importers were stocking up on products from China before the new year when they thought the 25% tariffs would be imposed. 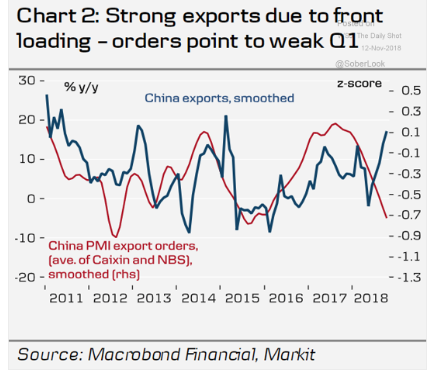 In other words, front loading in advance of tariffs explains much of China’s recent export surge. 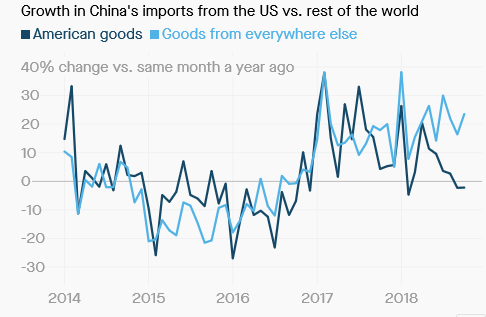 On the other hand, China’s imports from the US in October were 2% lower than a year earlier, while China’s exports surged. China has clearly started to divert its imports away from the US. China’s trade has also been affected by currency moves. The yuan has declined about 10% against the USD since the tariff wars began, but the yuan has also weakened against other currencies. The 10% decline in China’s currency has clearly offset some of the impact of higher tariffs. So what you are essentially saying is that the US needs China more than China needs us. Prof, your last chart should concern the USA which is losing Asian customers quickly. Your comment is right on. China is trying to diversify its own imports. Imports from Asian countries grew faster than imports from the US.